Super Mates 79: Starman Chronicles and Stocking Stuffers! Chris and Cindy celebrate the season with a Christmas edition of The Starman Chronicles! 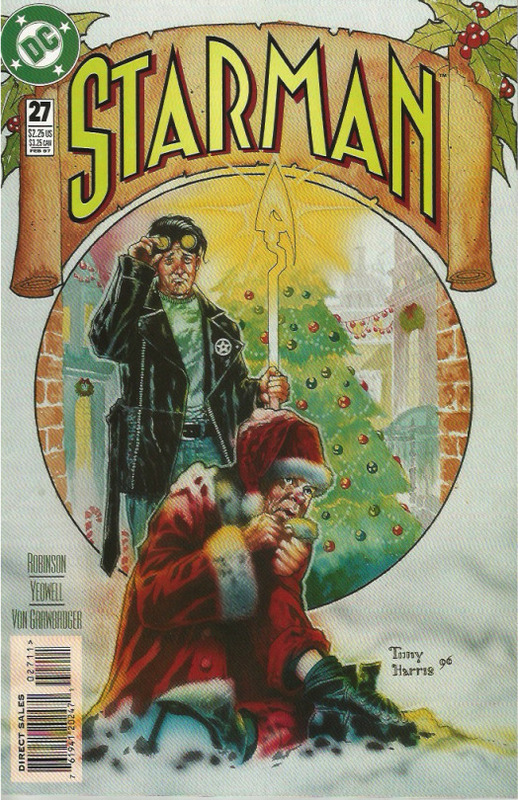 In Starman #27, Jack Knight’s holiday plans are interrupted by a person in need…a homeless Santa Claus! Then some special audio presents under the tree from DCU Holiday Bash starring Etrigan the Demon and Darkseid, and featuring some of our F&W All-Star Friends! Special thanks to Diablou Frank for the Starman intro, and Ryan Daly, the Irredeemable Shag and Dani Franklin for donating their voices! Journey to Star Wars: The Last Jedi continues! The podcast stands on the brink of ruin after last episode’s disastrous hijacking by Angela Drew. Luckily for our listeners, Ryan Daly returns to tell his son the thrilling conclusion to the original saga with A Little Golden Book: Star Wars: Return of the Jedi. Journey to Star Wars: The Last Jedi continues! Proving that she can read words just as good as the usual host, special guest Angela Drew takes her son Rhys on a galaxy spanning adventure with A Little Golden Book: Star Wars: The Empire Strikes Back. 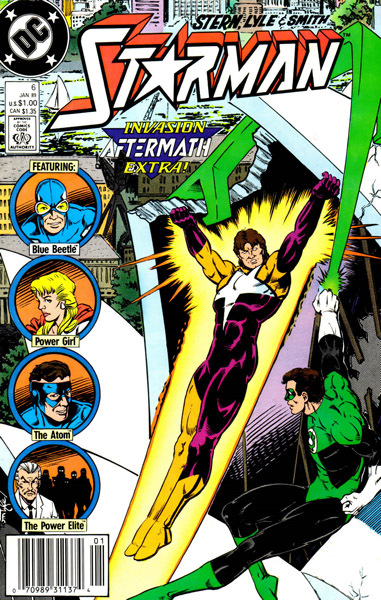 Starman helps with the relief effort before going home in this Invasion Aftermath extra, which guest stars, among others, one Hal Jordan, Green Lantern of Earth. Well, that just seems like the perfect pretext to talk about Green Lanterns in our second segment! Bass and Siskoid continue their coverage only at the Fire and Water Podcast Network! Listen to Episode 29 below (the usual filthy filthy language warnings may apply), or subscribe to First Strike: The Invasion! Podcast on iTunes! Journey to Star Wars: The Last Jedi begins here! Young Rhys takes his first step into a larger galaxy when his father, Ryan Daly, reads to him from A Little Golden Book: Star Wars: A New Hope. In minutes 56:00 – 60:00, We follow Otis to an underground lair, and are introduced to Miss Tessmacher and the big man himself, Lex Luthor! To celebrate The Nuclear Man’s 40th anniversary, Shag and Rob review Fury of Firestorm #s 37-40 by Gerry Conway, Joey Cavalieri, Rafael Kayanan, Mike Clark, Mike Chen, and Akin & Garvey. Firestorm saves New York from a giant meteor, takes on The Weasel in Pittsburgh, and graduates high school! It’s Firestorm #40 @ 40! Thanks for listening! Fan the Flame and Ride the Wave! And Happy Birthday, Match-head!